Cover of bunko-bon edition of The Lightless Sea, Hikari no nai umi, by Kazufumi Shiraishi, published May 2018. 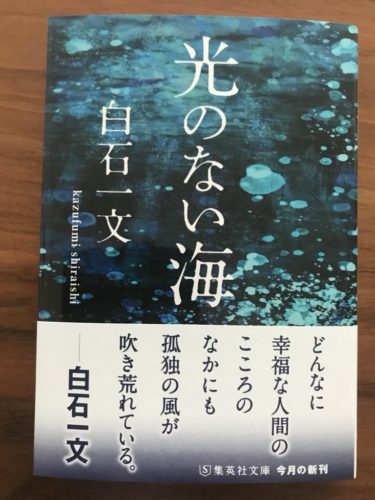 The Lightless Sea, Hikari no nai umi, by the Red Circle author Kazufumi Shiraishi, is gaining momentum not just in Japan, but also in China, providing further impetus to Shiraishi’s rising international profile. 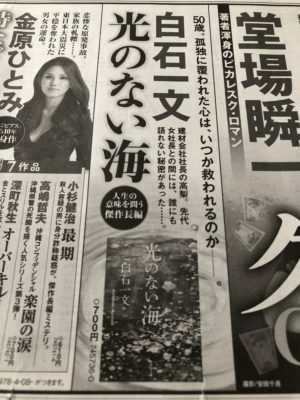 Advertisement for The Lightless Sea, a novel by Kazufumi Shiraishi, in the morning edition of the Asahi Shimbun, one of Japan’s national newspapers. The morning edition has a circulation of 8 million. Photograph: Red Circle Authors Limited. Shueisha, one of Japan’s largest publishing houses founded in 1925, has launched a major media campaign to support the May release of a new bunko-bon edition of the novel in Japan, including advertisements in major Japanese national newspapers. And a Chinese language edition of The Lightless Sea has also been published for the first time. The Chinese language rights to the novel were sold by the author’s Tokyo-based agent, TranNet K.K. to Tianjin Huanwentianxia Books Co., Ltd earlier this year for an undisclosed but “healthy advance” before the recent publication of the Chinese language edition. 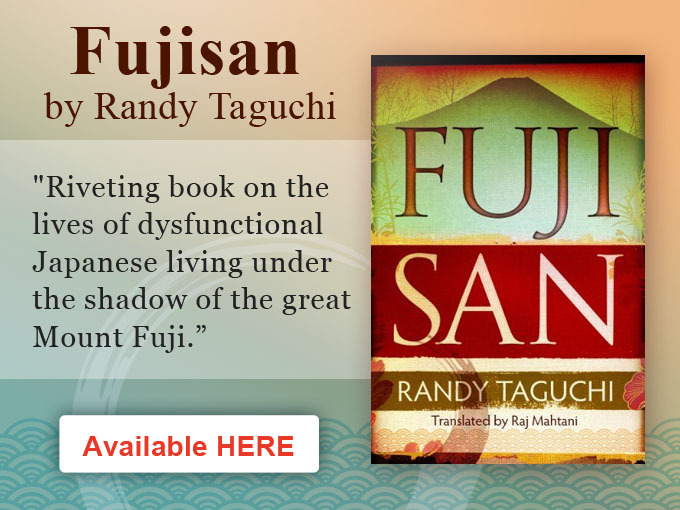 Shiraishi is very well known and highly regarded in Japan, his native country, where he has won major literary prizes, including the prestigious Naoki Prize. Following the publication of the Chinese edition, seven months after the release of his second novel last year in English, Shiraishi’s international reputation and profile are expected to increase further. The Lightless Sea is a novel about a 50 year-old company president at a crossroads in his life, facing retirement, reflecting on his past and the tragically complicated family circumstances that led to him becoming President of the company he leads and the life changing choices he made to get there. The English edition of The Part of Me That Isn’t Broken Inside, Boku no naka no kowareteinai bubun, translated by Raj Mahtani, Shiraishi’s second novel to be published in English translation was published by Dalkey Archive Press in 2017 and Horizon Books, part of Shanghai People’s Publishing House, has recently negotiated an extension with TranNet for the Chinese language edition of this novel. Publishers across Asia are snapping up the rights to Shiraishi’s novels as his popularity grows in the region. The rights to 15 of his works have been bought for publication in Taiwan, 8 in China and 5 in South Korea. An English language synopsis of The Lightless Sea can be accessed here. The original 324-page tanko-bon edition was published in 2015 by Shueisha.